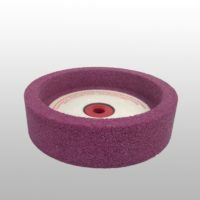 5″ 120 grit CBN grinding wheel (style 11V9). 46 grit ruby aluminum oxide straight cup wheel. 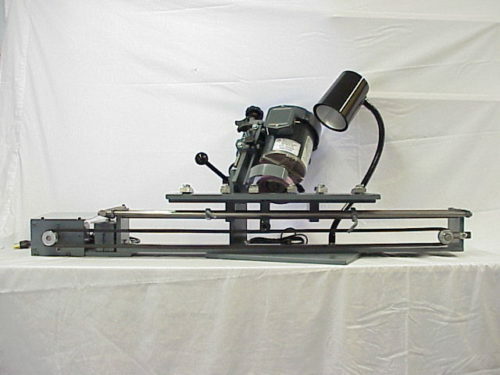 AV-54 Automatic Jointer/Planer Knife and Chipper Knife Grinder allows you to sharpen both chipper knives and carbide & steel Jointer & Planer knives up to 24″ long. Or a combination of knives totaling up to 24″. Thorvie knife grinders are manufactured to grind straightness & Flatness within .0005″ per inch. 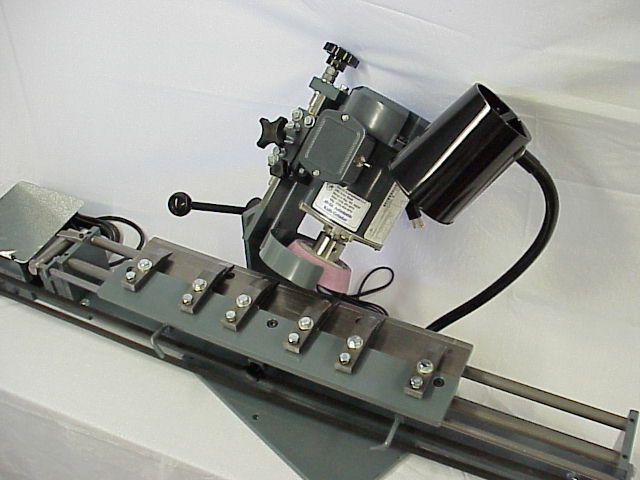 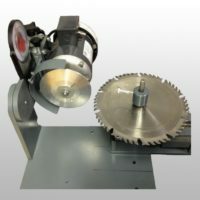 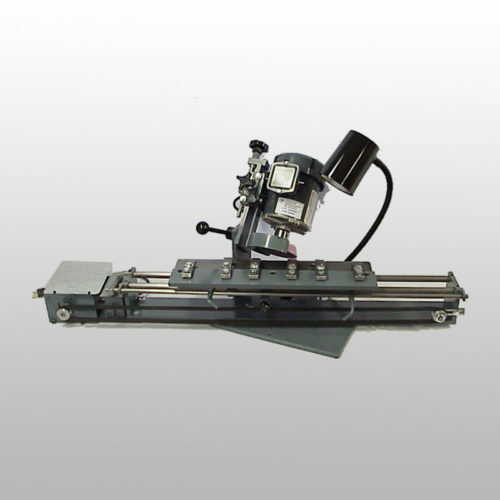 This automatic knife grinder will either hollow grind or flat grind knives. 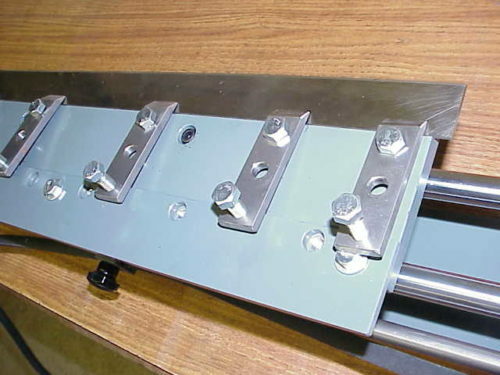 All you do is loosen a 3/8″ bolt and swing the Knife Blade Holder assembly straight for flat grinding. 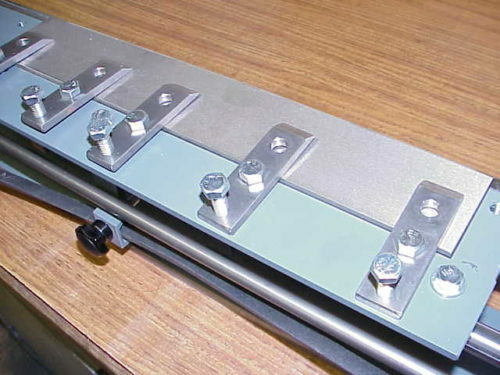 You can adjust the length of travel for any length of knife, from 3″ to 24″. 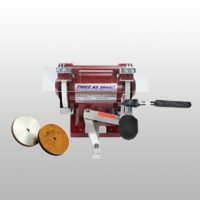 The AV-54 Automatic Jointer/Planer Knife and Chipper Knife Grinder machine is compact and saves a lot of time, as you can be doing other sharpening of tools while the knife is being ground. 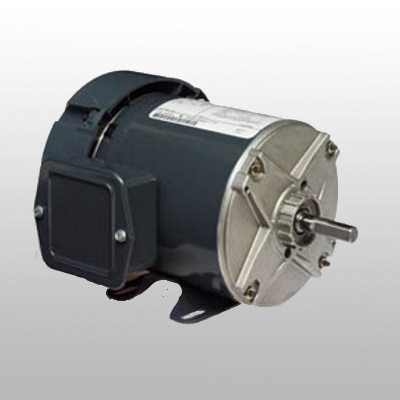 The newly re-designed automatic travel motor is a variable speed U.S. D/C motor. 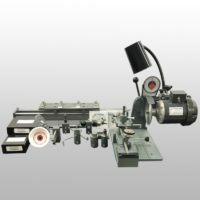 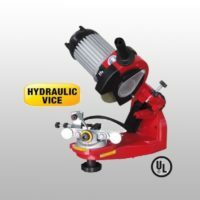 Price includes complete unit with a 5″ 60 grit aluminum oxide cup grinding wheel, written instructions, training DVD, customer service and heavy duty enclosed 110 volt motor, (220 volt 50hz motor upgrade available for foreign countries). 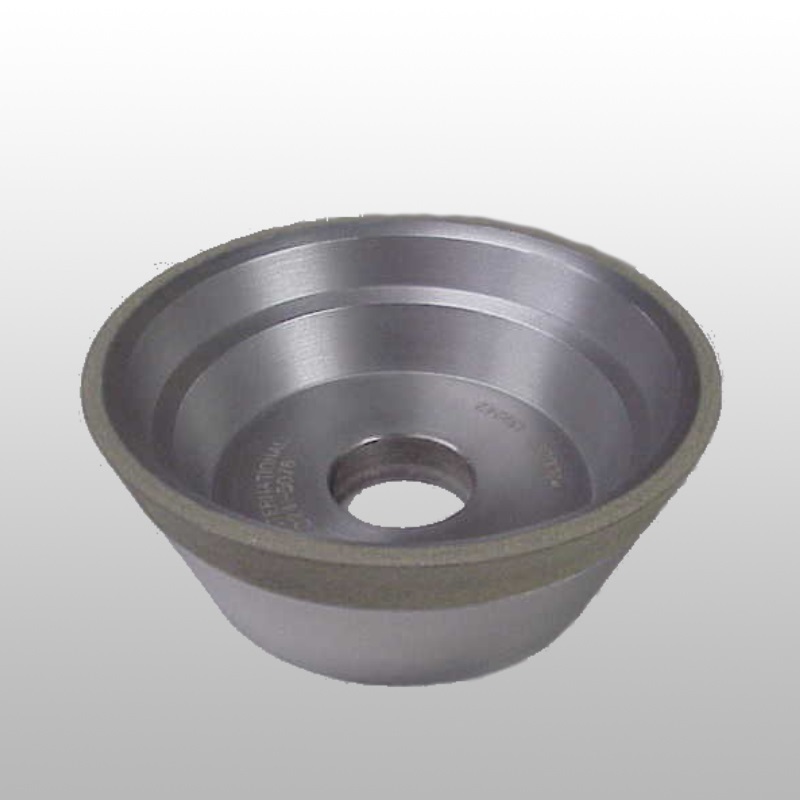 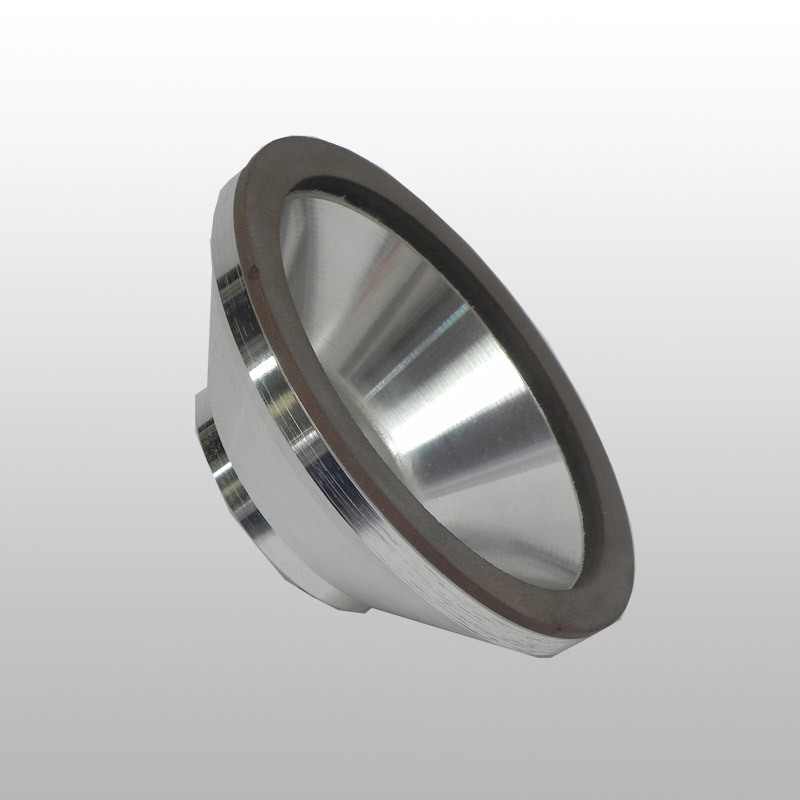 Optional accessories: 5″ diamond cup grinding wheel, 5″ CBN cup grinding wheel, half hp motor upgrade.